This weekend was very fun and eventful but also a little bittersweet. We bid farewell to our friend Christian who is moving back down south to be closer to his family. He had a good run here in New York but is going to kill it in Atlanta and I am very excited for his next step. We are going to miss him though! The rest of the weekend was spent at the Belmont Stakes (more on that later) and on a bicycle journey to Queens to visit some friends. 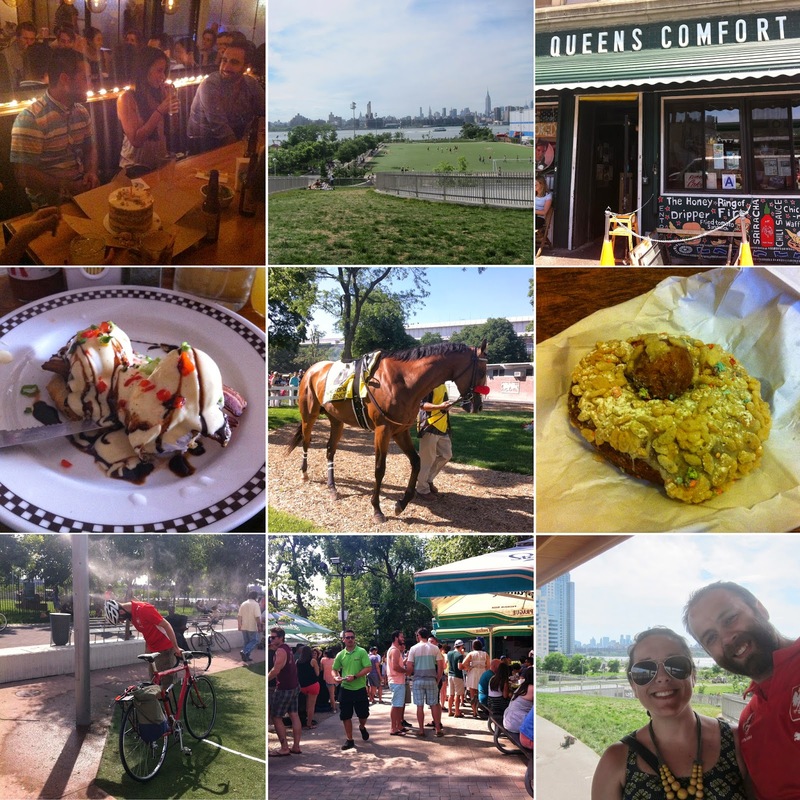 We had a fantastic brunch at Queens Comfort followed by some relaxing at the beer garden. The sunshine was amazing. I'm nursing a bit of a sunburn today but it's my favorite kind of weekend souvenir (especially with the rainy days ahead this week). I can't tell you how good that vitamin D is for my soul! Thank you for including the pic of my with the sprayer. I love me some spraying water in the summertime!